In October 2016, at her party’s annual conference, the Prime Minister (Teresa May) set out a vision for a more inclusive Britain, at least for those who would still have a right to freely work in the UK. She promised many things, but what she did not mention was how we most differ from almost every other affluent country in Europe in terms of how little we spend on our public services, the only services that are truly inclusive. The UK remains on course to cut public spending to record lows. 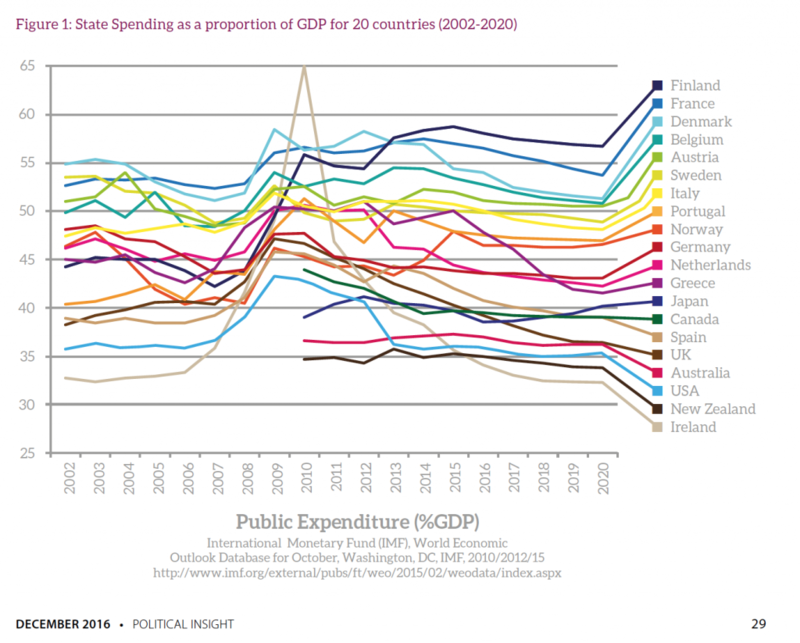 A kinder more inclusive politics would aim to raise our share of public spending on state education, public health and housing to at least what was the average for the more inclusive Europe countries that are nearest to us. So maybe its time for a geography lesson? In recent years the UK has not compared itself enough with its European neighbours. So how do we compare when it comes to public spending and performance on housing, education and health? Looking at how we govern ourselves from the perspective of what most matters to us, things appear in a very different light. It is not possible to give everyone a large financial windfall, but we can all be happier (without that) or even without high levels of economics growth. In recent decades in affluent countries economic growth has tended to only benefit a few, especially when accompanied by low and often regressive taxation. The government that came to power in 2010 in the UK chose to try to spend a lower proportion of GDP on the public good than almost any other government in Europe. At one point it was even forecast to spend less than the US. It did not manage to do that, because UK debt repayments are too high, which are included in government spending. But its successor government elected in 2015 clearly aims to get close to being that internationally minimal public provider by 2020.